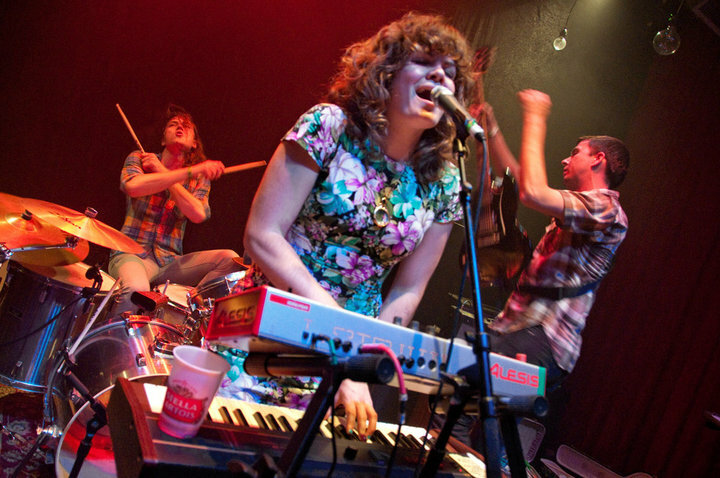 What makes an indie band? Hipster chicks singing in harmony? Kinchy organs flowing overhead? A driving bass with very sharp drums? Maybe so, maybe not, but that’s what makes up Social Studies. Led by Natalia Rogovin on synth with vocals followed by Michael Jirkovsky on drums, Social Studies kicks it indie-pop school straight outta San Fran. They’ll be teaching me a thing or two at SXSW this year. Take a time out and listen to ‘Time Bandit.’ I know. I know. You’re probably wondering, “What’s Stereolab doing in my speakers?” Okay that was an easy comparison, but pop quiz: Who else do they sound like? Perhaps a female version of Ben Folds? I think that passes. So it’s now time for me to graduate and walk the aisle all cap-and-gowned out while skipping to the Social Studies. Don’t be tardy for these folks or its detention.